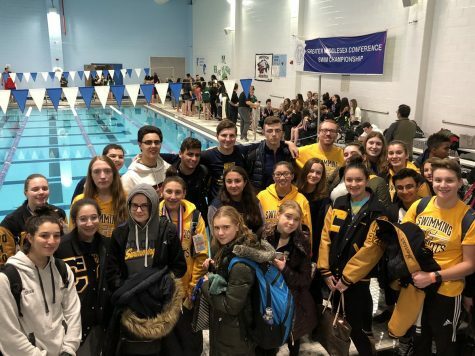 Seen here is the Colonia Boys varsity team holding their newly won state sectional championship trophy. 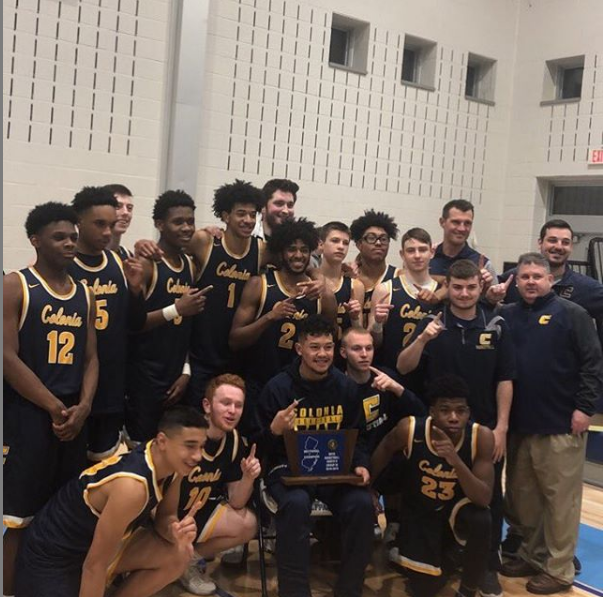 On Tuesday, March 5, the boys’ varsity basketball team was able to cement their name in Colonia athletics history by winning a state sectional championship against West Morris Central High School. Playing without their leading scorer, against a higher seed, and with a first year head coach, the Patriots definitely had their backs up against the wall going into the semifinals of the state tournament. But none of those things could affect the passion and chemistry that they play with. They had that “next man up” mentality that is so common in pro sports. 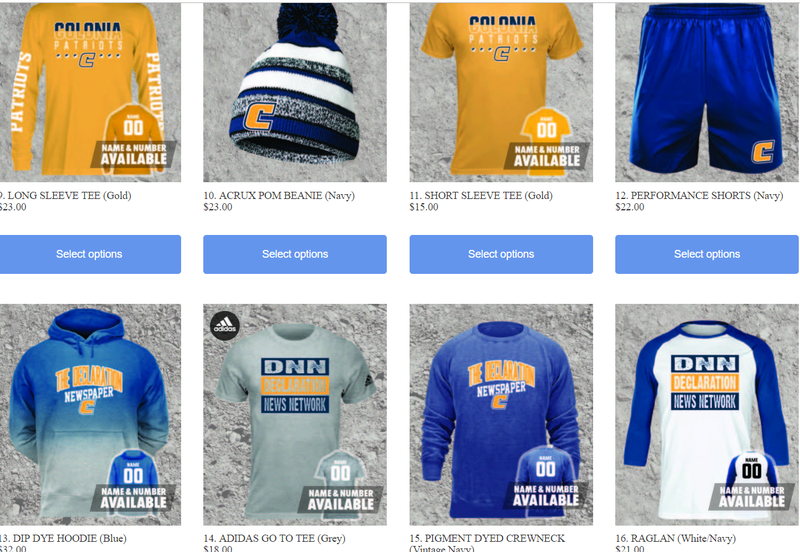 However, this is usually hard to find in high school sports. Many kids will quit instead of sitting on the bench and playing an important role, but not this group. 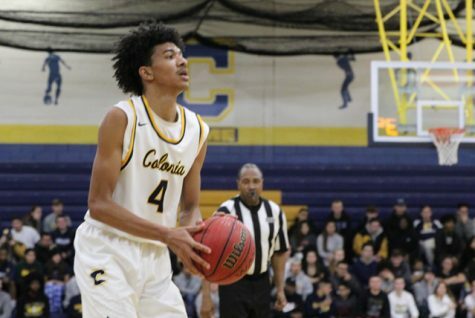 When 1,000 point scorer Luke Valeriano went down back in February, Colonia never missed a step. Honestly, they even were able to elevate their play. Backup point guard, Jimmy Frage, was the one who saw the largest increase in playing time. He was able to fill in and run the point guard position extremely well. 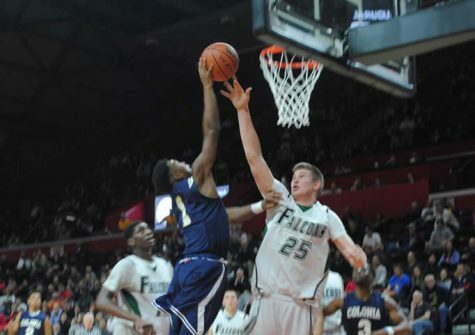 Not only that, but he was also the scorer Colonia needed. 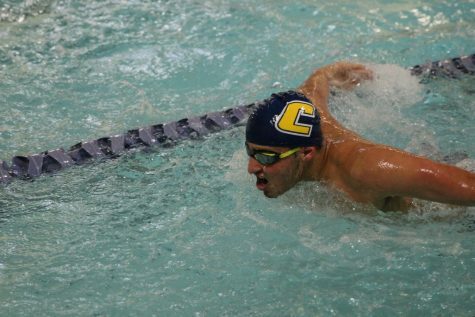 It is definitely hard to fill in for someone who has started for three years, but Frage was ready. He was just waiting for his chance, and once he got it, he definitely made the most of it. He scored a total of 44 points through the last three games. Out of those, he was able to score 24 in the championship win over West Morris. In other words, he went from someone who never scored over ten points in a game, to being the key player in the biggest game of the year. 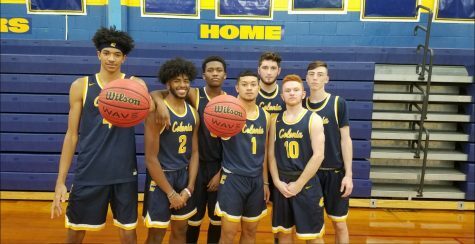 After taking down the number one seed Rahway High School by 28 points, Colonia was on a roll going into the championship at West Morris. The small gym was completely packed, with huge bunches of people forced to stand or even sit on the steps. 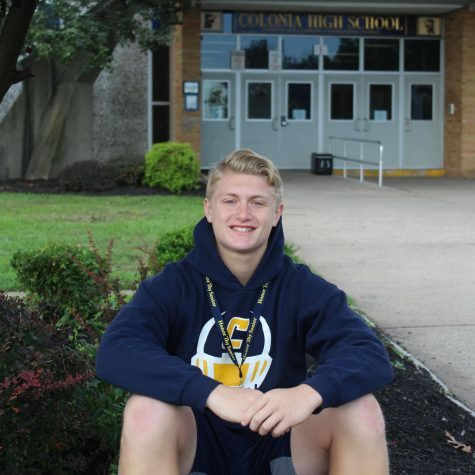 The stage was set, and Colonia’s unlikely run in the postseason all came down to this. The Patriots were definitely able to cap off this run with an exclamation point. The Wolfpack of West Morris never even fought back after the first quarter. 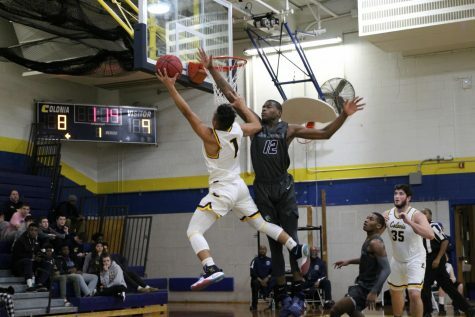 Behind not only Frage’s 24 points, but Chad Baker’s 20 points as well, Colonia was able to win in commanding fashion. They would go on to win by 24 points, and the ecstatic fans stormed onto the court at the sound of the final buzzer. Once again, the Patriots defense was nothing less than spectacular, led by seniors Chris Sica, Thomas Mitch, and Tim Rodriguez. Sica was a presence in the paint all night, blocking shot after shot. The perimeter defense from the guards and wings was incredible too, and they were forcing turnovers all game. West Morris was struggling to find any open shots. It even at times felt like they were just praying for their shots to go in. 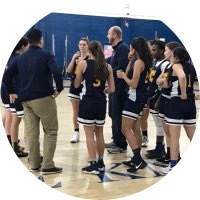 The coaching staff of Colonia, led by head coach and GMC coach of the year, Coach Rodriguez, really deserves a bunch of the credit in this category. Playing defense at that good of a level has been the key factor for the Patriots all year. In fact, out of their final five games, teams were only averaging a mere 35 points a game against them. 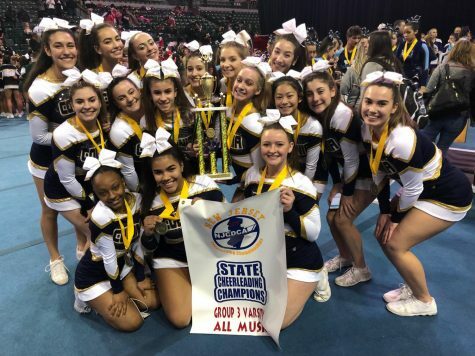 In conclusion, this Colonia team had a winner’s attitude, and it was able to propel them to winning a state championship. They were able to silent all of the critics, and block out all the noise. Not only did they win this game, but they were able to dominate against the so-called best teams in the tournament. Their seed meant that they were playing both the Number 1 seed and the Number 3 seed away, at their high schools. This, however, still did not phase this Patriots team. They stuck together and went into each game refusing to go home without the win. Behind the “Colonia Crazies” student section and outstanding play, the other crowds had not choice but to stay quiet. In fact, even chants of “This is our house!” came from the Colonia student section in each game. This season is definitely something to be proud of, and I think each player or coach knows it. This group of boys was something special, and now, with their accomplishments, they will be remembered forever.